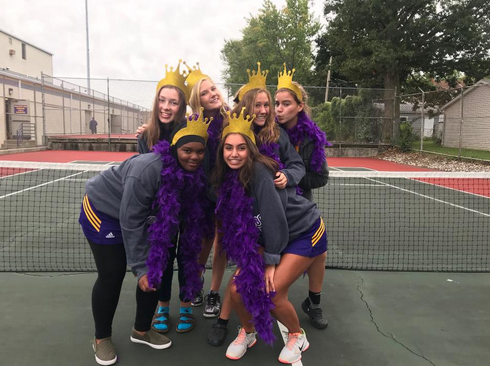 Lakewood High School’s tennis team had a great and successful season this year. 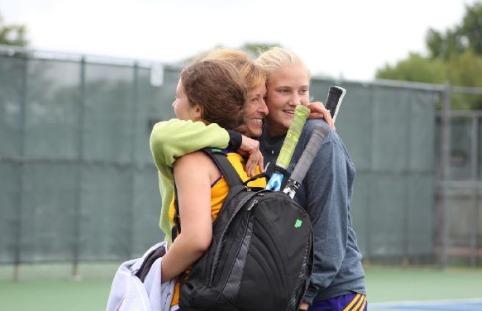 Tennis athletes, Clare Harvey and Molly Roche were even a reason and asset to the team’s success. Both having the best record on the team , 14-1, while achieving second place in SWC Conference tournament and taking the team to the quarter finals in sectionals, they most definitely worked hard this season. Roche and Harvey, LHS seniors, says that their last year playing, was their best year playing. Q: What’s it like playing with each other? A: It is really fun playing with each other seeing as we are good friends off the court too. I think we were just a really great pairing for doubles. Q: How long have you guys been playing tennis? A: I (Molly) have been playing since the 8th grade and joined the high school team freshman year. I (Clare) have been playing for the high school since sophomore year. Q: Does the sport get difficult at times? If so, how? A: Yes it definitely gets difficult when we are playing a tough team because we both have to be on and playing our best game. If one of us is off, the other has to pick it up and get us working together again. We are both really good at communicating and working as a team. Q: How do you feel, playing your last season as a high school student? A: I (Clare) am sad that it’s over but we had an amazing season and an amazing record, I’m really happy with how my last season went. I (Molly) think we accomplished much more than we expected, we worked really hard and it payed off. I’m of course sad that it’s over but I’m extremely proud and happy with our last season.